Situated at the second floor of the building which houses the Malta Tourism Authority Information Office, the Valletta 2018 Gozo Regional Office will serve as a contact point between the Valletta 2018 Foundation and the Gozitan community. The first Valletta 2018 Regional Office was inaugurated at Independence Square, it-Tokk, Victoria, Gozo. Addressing a press conference, Valletta 2018 Chairman Jason Micallef highlighted that Valletta 2018 is a celebration of a nation which does not start or finish in Valletta. In fact, Valletta 2018 is bringing about cultural, economic and social regeneration in Malta and Gozo. Noting that Gozo is a region, Mr Micallef stated that Valletta 2018 needs to have a lasting legacy in Gozo too. Among the Valletta 2018 events to be held in Gozo over the coming months is Qatt Ma Ninsa – a collective memory project which is being organised together with Heritage Malta on the 24th and 25th October at it-Tokk. 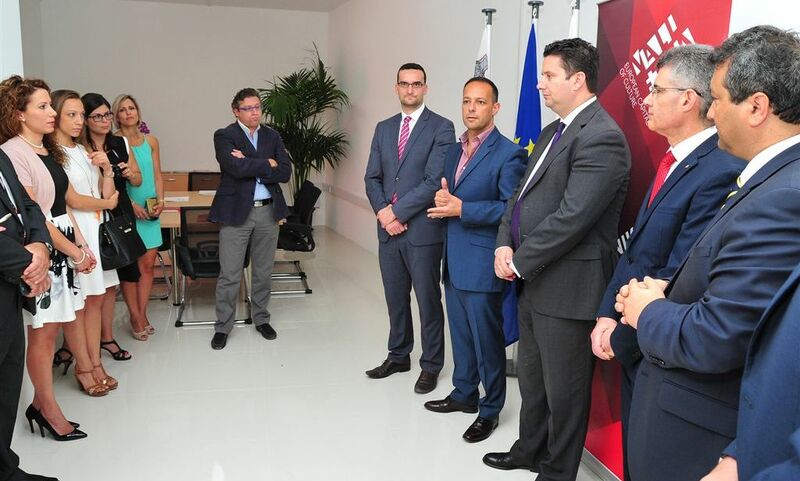 Tourism Minister Edward Zammit Lewis, together with the Valletta 2018 Foundation Chairman Jason Micallef, Malta Tourism Authority Chairman Gavin Gulia and Malta Tourism Authority CEO Paul Bugeja opened the office, on Friday morning. Due to the various projects that will make Valletta a centre of excellence, the Minister for Tourism felt that a collective collaboration between the Ministry for Tourism, the Malta Tourism Authority and the Valletta 2018 Foundation is currently under way. The Valletta 2018 Foundation is extending its work beyond Valletta because it believes that this is not only a project for Valletta, but for the whole country as well. This, the Minister explained, is why the Foundation is opening a number of regional offices, including the Gozo office, to continue to expand its work.